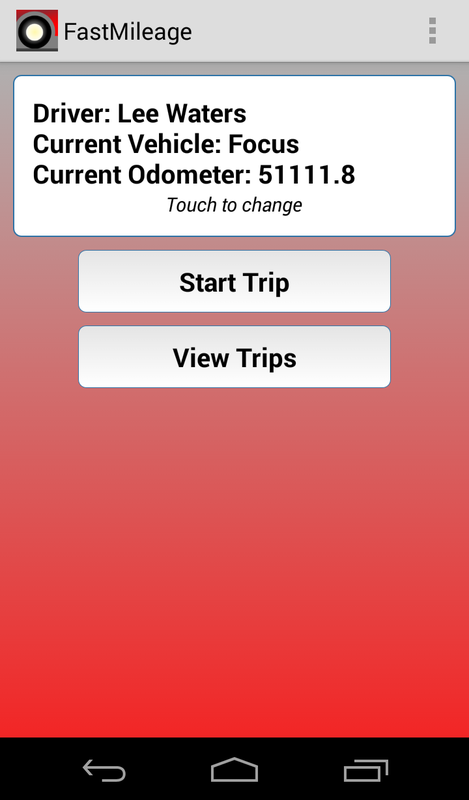 Track your vehicle use automatically- FastMileage can use your Bluetooth ODB2 connector to automatically record trip start/stop, and odometer start/stop. Enter Trip Notes right away, or at end of day. Trips are stored on your device, and can be automatically uploaded to your Google Drive and/or sent to your Email. No one else can see or read your trip information. Automatically start/stop trips when you start your car. Track Business / Personal use, start / stop time, location, mileage, and Trip Notes. You control your data- your trips are only stored in your email (optional), GDrive (optional), and on your device. Using an OBDII Bluetooth connector (see more information here), FastMileage can sense when your car is started and stopped. A trip will be recorded each time you start and stop your car, with the current odometer reading if your car supports this (see FAQ). The start and stop GPS location will be stored along with the start and stop time of the trip. You can enter Trip Notes and change the trip type to Business or Personal after the trip. Use the Start Trip and Stop Trip buttons to manually record trips. Email to yourself in HTML format so you can print from your browser. Email to yourself in CSV format so you can use your data in a spreadsheet- add to existing expense tables, etc. FastMileage can automatically upload your trips (once per day) to your Google Drive in HTML and/or CSV. Uploads are dated and are for all the trips in the current year.